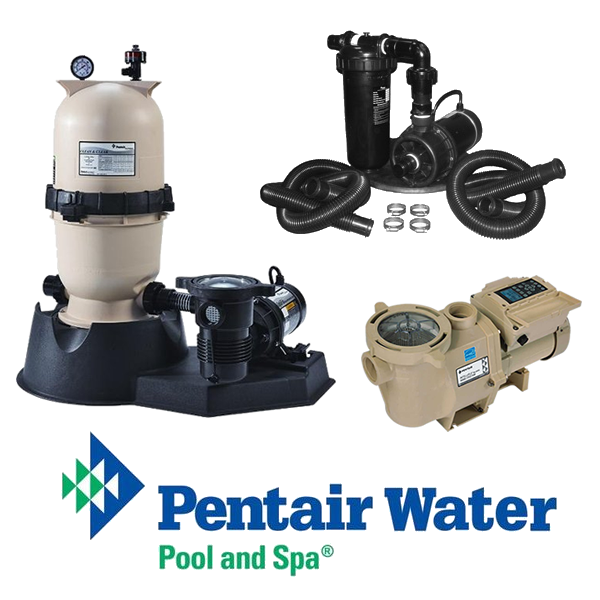 We carry numerous models of Pentair brand pumps and filters to fit every pool size. Pentair pumps are designed to be energy efficient, and to run more quietly than other brands. Since filtration and circulation are the top factors in maintaining crystal clear water, it is important to size your pump and filter in accordance with your pool size. From top of the line, fully automated filtration systems, to more basic ones, we have the perfect system to fit every pool and every budget. Intelliflo VF – High Performance Pump: The intelligent pool pump that changed all the rules. IntelliFlo ® VF High Performance Pump is the world’s smartest swimming pool pump. Its onboard computer and intelligent software automatically calculate and program the minimum flow requirements for every pool task – filtering, heating, cleaning, spa jets, water features and more – to optimize performance and minimize energy use. As functions/tasks change, IntelliFlo self-adjusts to maintain optimal flow rates for further energy savings. Our Chlorine Generating Salt Systems are made by Pentair, a leading manufacturer of “top of the line” pool equipment. 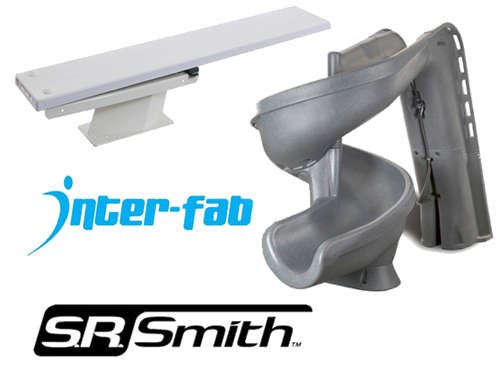 IntelliChlor uses common table salt to produce all the chlorine a pool needs, safely, effectively, and automatically. Same sanitation performance as manual chlorine addition without the drawbacks. No need for you to buy, transport and store chlorine compounds. Unless you thoroughly enjoy standing in the heat and vacuuming your pool two or three times a week, you truly need an automatic pool cleaner. 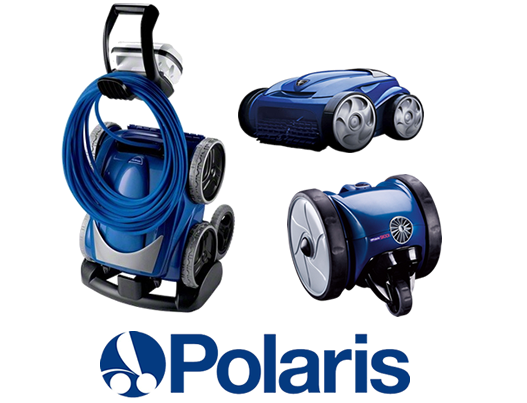 Automatic cleaners do a great job picking up leaves and flower blossoms that fall into the pool. They also brush the pool with the “tail” brush. It’s a good idea to buy a pool cleaner and avoid a fight with your teenagers who “promised” to help with the pool upkeep. Whiten Pools Inc. is an approved dealer and warranty center for Zodiac and Polaris products. Lighting for your pool can make all the difference in the world in your family being able to really enjoy evening swims. Our lighting products will enhance your night time swimming experience and contribute to family safety as well. We carry and install many different styles of lights for your pool. Drop by our retail location anytime to see what lights we offer and to discuss existing lighting system in your pool to see how we can enhance or replace them. 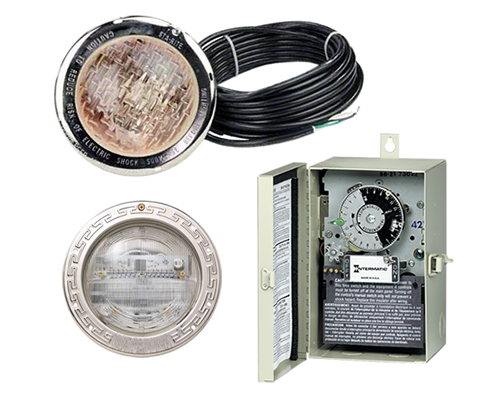 We also carry and install timers for your filtration system so you won’t have to worry about watching the clock. Unless you are a polar bear, it is too cold to swim in your pool during the Fall and Winter seasons. For some peace of mind during this time of the year, we offer custom fitted safety covers for your pool. Not only are they a much more attractive alternative to cheaper covers that are held in place with waterbags. 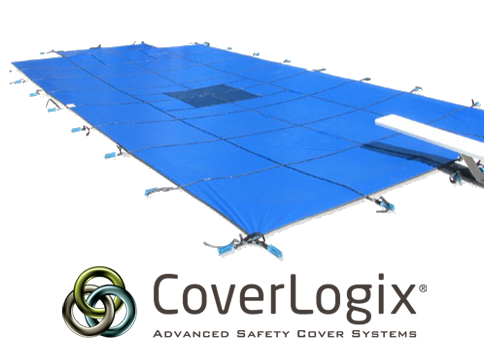 They are also durable and secure enough to make your pool inaccessible to children and pets. We offer Cover LOGIXTM safety covers. With these products you can be assured of certified safety, quality craftsmanship, easy installation, lasting durability, low, hassle-free maintenance, and worry-free warranties. Not only does Whiten Pools install Slides and Diving Boards in new pools, we also retrofit them in existing pools. In fact, we sell a complete line of swimming pool diving boards and slides that will make the kids happy and match your backyard décor beautifully. Check out our full line of diving boards and diving stands, which are available in a variety of colors that will coordinate perfectly with our other products. Installing slides gives you and the kids waterpark thrills in your own backyard! DROP BY TODAY FOR FREE WATER SAMPLE TESTING. Or Call now to speak with one of our pool specialists.